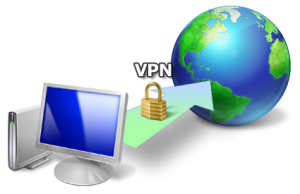 Due to the high use or should i say frequent use of some VPN software's for free browsing many people don't actually know what VPN services are really used for and the need for them. So am going to take some time to explain that in this post. So you can unblock and access any site you want, automatically encrypt all your network traffic, and make yourself anonymous. Most times you carryout transactions involving money etc online. Do you know that traces are actually left behind ?? Its like you visiting a place and leaving your footprints behind. The internet is not a safe place always make use of a VPN. When you connect to the Internet via an unsecured wireless connection, such as a Wi-Fi hotspot, your important emails and passwords may be getting broadcast publicly through the airwaves for anyone to see.So If you care about your online privacy and freedom, I suggest you make use of a VPN. If you need to get a VPN, then i suggest you use Tunnel Guru VPN. Did i hear someone ask why?? the answer is simple. Anonymous 5AM I feel ur pain, frm here I can tell that u re one of those that are in serious need of free browsing. But u should knw that as time goes on ur ISP firewall doesn't act the same like before, so we are still wrking. The least I require from u is patience and support. Yh thnks Femi. Anonymous 8:16am *laughs* that's a layman's ideology that only fraudsters require VPN. I have given some reasons above are u sure u read them?